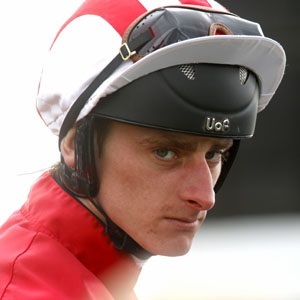 Adam Kirby served his apprenticeship with Michael Wigham in Newmarket and was successful on his first ride when Broughton Knows scored at Lingfield in October 2004. Since then, he has worked his way to the top and he enjoyed an incredible 24 hours at Royal Ascot in 2016 – winning the King’s Stand Stakes on Profitable and then the Prince of Wales’s Stakes on My Dream Boat. The first of those QIPCO British Champions Series triumphs came just hours after he had become a father for the first time. In 2017, Kirby has forged a great relationship with brilliant sprinter Harry Angel – the combination winning the Darley July Cup and 32Red Sprint Cup. Kirby was crowned UK “All Weather” champion for the first time in March 2013 and finished second on board the 80-1 outsider Sovereign Debt in the 2013 JLT Lockinge Stakes, race two in the Mile division of the QIPCO British Champions Series. He did not have to wait long for his first QIPCO British Champions Series triumph and his first Group 1 race victory, steering Lethal Force to victory in the 2013 Diamond Jubilee Stakes at Royal Ascot, the third Series sprint and following up with a similar pillar-to-post victory, breaking Newmarket’s July Course six-furlong track record, in the Darley July Cup.